Are you looking for a way to get unofficial content onto your iOS device? Want to try an app or game before you buy it? Then AppSync may be just the app for you. It’s completely free to download and use. Anyone who knows about jailbreaks will know that installing third-party apps can only really be done using a Cydia tweak. Yes, it could be considered a form of modification to your iOS device, but that is not what the app was designed for. AppSync is one of a family of iAP apps, including vShare, AppCake, Install0us, AppAddict and more. Most jailbreakers are well aware of these apps and have likely used at least one of them. AppSync is used to support apps, games, tweaks and more that are unsigned by Apple and it also provides access to other useful apps like iFile too. Another use for AppSync is to help you run some of the apps and games that you download from third-party app stores. Sometimes the apps don’t install properly or they just don’t work. AppSync makes all the difference so if you haven’t yet installed it, you are missing out. The first thing you need to do is jailbreak your iPhone or iPad. 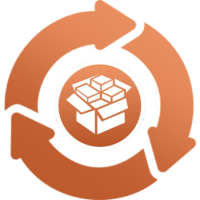 Find out what jailbreaks are available by checking out or Cydia download page. See how easy it is? We’re not done yet. We do need to tell you that we do not encourage or condone unofficial modification of your device in any form. We urge that you use AppSync to try apps before you buy them through the official channels.